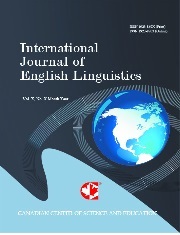 The International Journal of Linguistics, Literature and Translation (ISSN: 2617-0229) is a double-blind peer-reviewed open access journal. It aims to provide a high-level platform for academic researchers, scholars and practitioners all over the world to share the latest findings, views, ideas, information and academic experiences in the form of written scholarly articles. 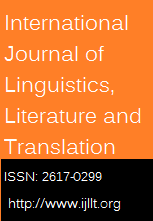 Authors are encouraged to submit original, theoretical and practical submissions covering all areas of linguistics, literature and translation.